LinkedIn InMail is a premium LinkedIn messaging feature that allows you to send messages to people you currently have no connection to on the platform. LinkedIn is great for making professional connections, but when you want to start a conversation with someone who's not already in your network, you can't do so with a private message. Unless, of course, you have InMail. 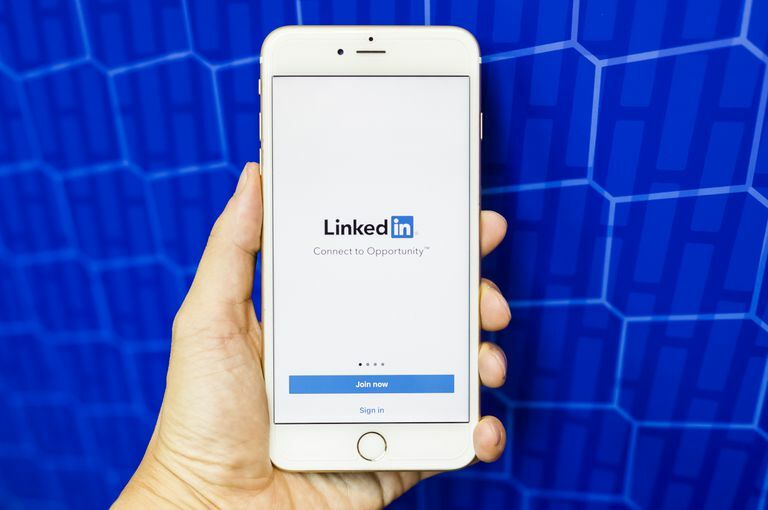 It's essentially an extension of the standard messaging feature, which can be accessed by selecting the Messages tab at the top of the screen or bottom of the app when signed into your LinkedIn account. If you have a Basic (free) LinkedIn account, you won't be able to send InMail messages — however you will be able to receive InMail messages from others. You must upgrade to any of the premium plans to be able to send InMail messages. You can send a certain number of InMail messages based on your monthly allotted amount that comes with your premium plan. If you use them all up for the month, you can also purchase additional InMail messages to send. Cost varies depending on how many InMail messages you wish to purchase, but you can expect it to be around $10 per InMail message. When you visit a person's LinkedIn profile who you haven't connected with yet, you'll see a Message button on their introduction card (between Connect and More...). If you have a Basic account, it will display a padlock icon next to it, signifying that the InMail feature is locked. But if you have a premium account, you'll be able to select Message to open the message composer and begin typing. When someone sends you an InMail message, it will come with an InMail label to help you differentiate them from regular messages. Just look for the bold InMail label before the subject line on any of the messages in your inbox. There are lots of benefits of using InMail messages to start conversations with people you don't know. Here are just a few that really stand out. Send a personalized message without a connection request. Not everyone needs to be added as a new connection to your network. Sometimes a conversation needs to get started first. Avoid wasting time searching for contact info. It can be frustrating to search a person's profile for the best way to contact them. Many don't include their email addresses. Reach both passive and active job candidates. Get in touch directly with candidates you think could be a good fit. Track the results of your InMail messages. You get access to InMail Analytics, which shows you data about your messages that can give you clues about what may or may not be working. Receive InMail credits when you get a fast response. If the recipient of your InMail message responds within 90 days, you'll be rewarded with an InMail credit so you can send more InMail messages without having to purchase more or wait until next month's renewal. Once you've chosen your plan and made your upgrade, you can navigate to the LinkedIn profile of any person you're not connected to and select Message on their introduction card. Type your subject line and body text into the message composer and hit Send when you're done. InMail messages can include up to 200 characters in the subject line and up to 1,900 characters in the body text, including your signature. Select the Me tab in your LinkedIn account. Beside InMail messages, select Buy More. Select the number of InMail messages you want. Select Continue to complete your payment. Not everyone can be sent an InMail message. Those who've opted out of receiving InMail messages through their account settings can't be reached. You always have control of who can message you on LinkedIn and how. If you'd rather not receive any InMail messages at all, even with a Basic account, you can opt out of it. Navigate to the Communications tab. Scroll down to the Preferences section and select Change beside Messages from members and partners. Under Allow others to send you InMail? select the button so that it says No. You can also select the button for Allow LinkedIn partners to show you Sponsored InMail? so that it says No.